Sports Rendezvous: Super Eagles: Nigeria drop in new FIFA Ranking. Super Eagles: Nigeria drop in new FIFA Ranking. The Super Eagles slipped to 52nd after two months as the 51st country in world football. 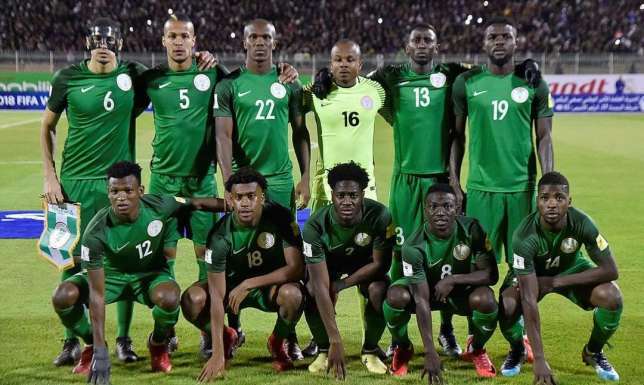 The Super Eagles of Nigeria have dropped one place in the new FIFA Ranking that was released on Thursday, February 15. Nigeria have been in the 51st position in the last two FIFA Rankings released. After another quiet month, the Super Eagles have dropped one place to 52nd. Despite the drop in the World Africa, Nigeria went up in the African Ranking from ninth to seventh. Tunisia (23) are top of the African Ranking with Senegal (27), Congo DR (39), Morocco (42) and Egypt (43) in the top five.